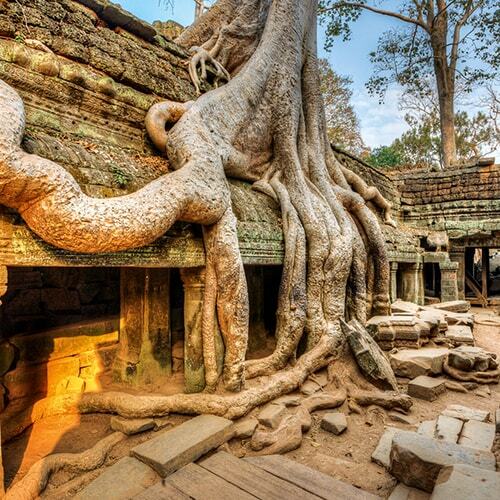 The life-support system and gateway for the temples of Angkor, Siem Reap (see-em ree-ep; សៀមរាប) was always destined for great things. Visitors come here to see the temples, of course, but there is plenty to do in and around the city when you’re templed out. 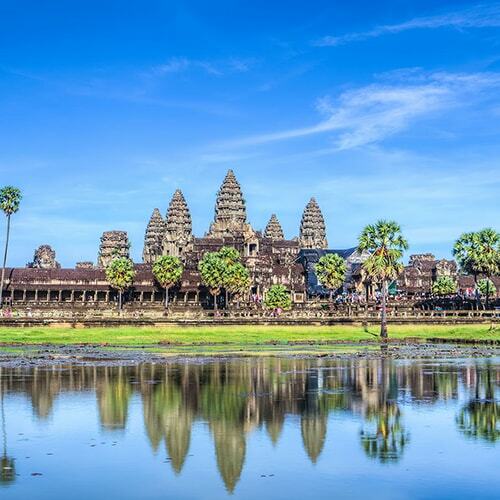 Siem Reap has reinvented itself as the epicentre of chic Cambodia, with everything from backpacker party pads to hip hotels, world-class wining and dining across a range of cuisines, sumptuous spas, great shopping, local tours to suit both foodies and adventurers, and a creative cultural scene that includes Cambodia’s leading contemporary circus. The sights in and around the town pale in comparison to Angkor, but they are a good diversion if you happen to get templed out after a few days. 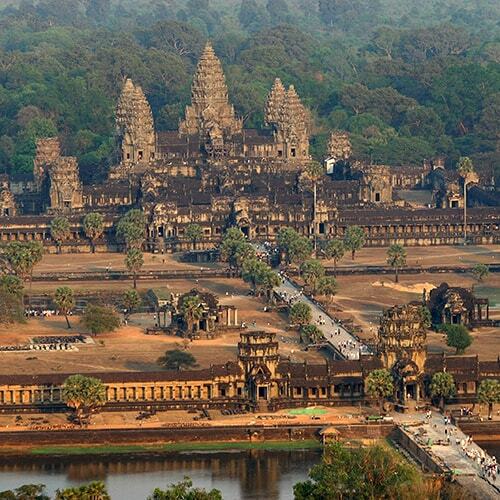 That said, some of the best sights are…yet more temples. 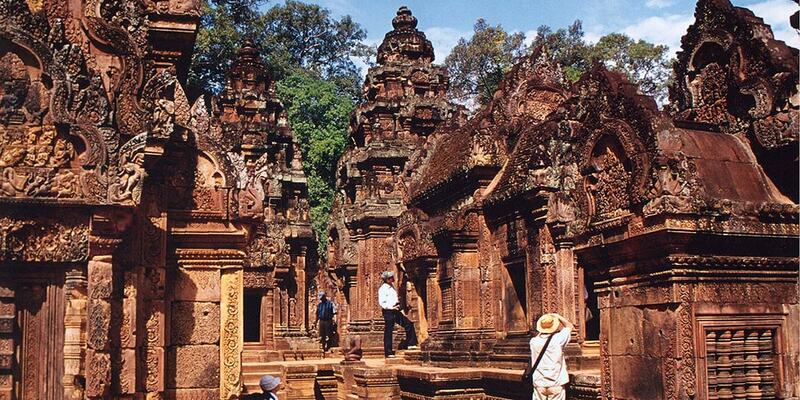 The modern pagodas around Siem Reap offer an interesting contrast to the ancient sandstone structures of Angkor. 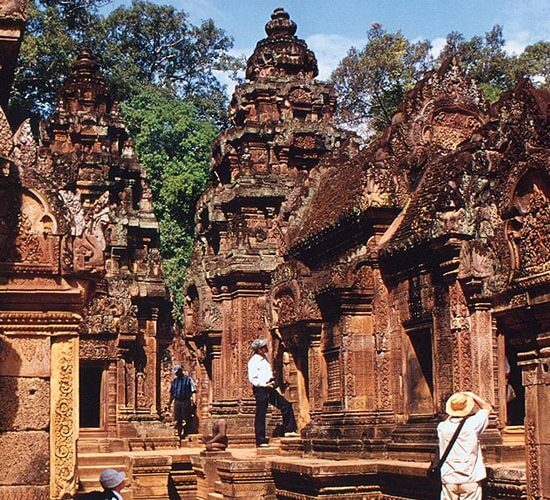 Outside town attractions include the up-and-coming Banteay Srei District and the stilted and floating villages of the Tonlé Sap lake, such as Kompong Khleang and Kompong Pluk. And don’t forget to include a visit to the Angkor Centre for Conservation of Biodiversity out near Kbal Spean, one of the more remote Angkorian sites. 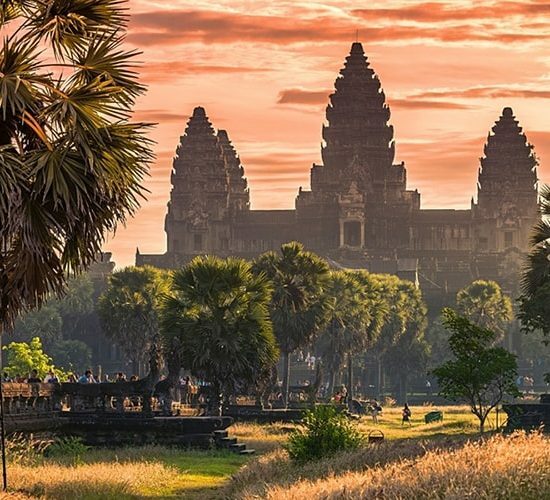 There is an incredible array of activities on offer in Siem Reap, ranging from predictable swimming pools, spa centres and golf courses right through to less predictable ziplining, horse riding, quad biking and an Angkor-themed minigolf course. Foot massages are a big hit in Siem Reap – not surprising given all those steep stairways at the temples. There are half a dozen or more places offering a massage for about US$6 to US$8 an hour on the strip running northwest of Psar Chaa. Some are more authentic than others, so dip your toe in first before selling your sole. For an alternative foot massage, brave the waters of Dr Fish: you dip your feet into a paddling pool full of cleaner fish, which nibble away at your dead skin. It’s heaven for some, tickly as hell for others. The original is housed in the Angkor Night Market, but copycats have sprung up all over town, including a dozen or so tanks around Pub St and Psar Chaa. It’s hot work clambering about the temples and there’s no better way to wind down than with a dip in a swimming pool. You can pay by the day for use of the pool and/or gym at most hotels; prices range from just US$5 at some of the midrange hotels to US$20 at the five-star palaces. More and more of the cheaper hotels and resorts are putting in pools and this can be a worthwhile splash for weary travellers. Locals like to swim in the waters of the Western Baray at the weekend. 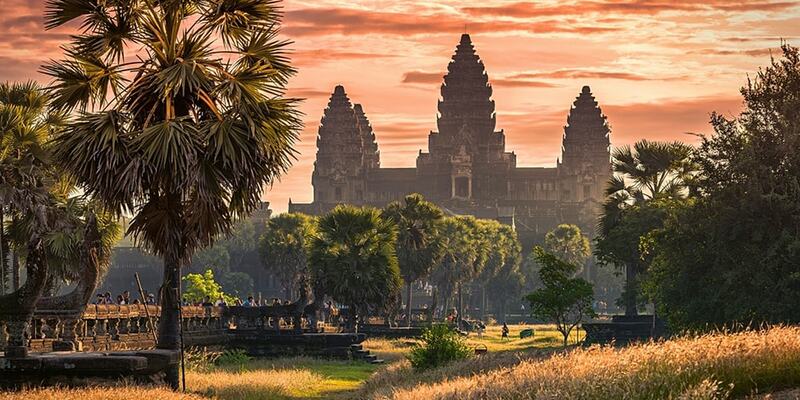 Siem Reap has the best range of accommodation in Cambodia. A vast number of family-run guesthouses (US$5 to US$20 per room) and a growing number of hostels cater for budget travellers. In the midrange, there’s a dizzying array of good-value pool-equipped boutiques (US$30 to US$70) with something of a price war breaking out in low season. High-end options abound but don’t always offer more than you’d get at the midrange. During the low season (May to early October), there are lots of special offers available ranging from stay three/pay two deals to big discounts in the range of 30% to 50%. Top-end hotels usually publish high- and low-season rates. It’s advisable to book ahead from November to March, particularly if you’re eyeing one of the glamorous spots, but with more than 600 guesthouses and hotels in town, you won’t be without a bed if you just show up. Most hotels will include a free transfer from the airport, bus station or boat dock if you ask, and breakfast is almost always included at the midrange end and up. Many top-end hotels levy an additional 10% government tax, 2% tourist tax, and sometimes an extra 10% for service. Commission scams abound in Siem Reap, so keep your antennae up. Touts for budget guesthouses wait at the taxi park and at the airport. Even if you’ve not yet decided where to stay in Siem Reap, don’t be surprised to see a noticeboard displaying your name, as most guesthouses in Phnom Penh either have partners up here or sell your name on to another guesthouse. This system usually involves a free ride into town. There’s no obligation to stay at the guesthouse if you don’t like the look of it, but the ‘free lift’ might suddenly cost a few dollars. 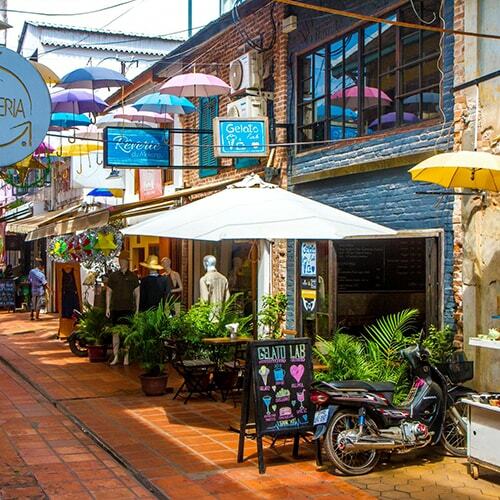 Psar Chaa is the liveliest part of town, brimming with restaurants, bars and boutiques. Staying here can be a lot of fun, but it’s not the quietest area. The area to the west of Sivatha St has a good selection of budget guesthouses and midrange boutique hotels. Off the southern end of Sivatha St is Sok San Rd, fast becoming Siem Reap’s top traveller’s mecca as high rents force many budget and midrange properties out of the centre. The smart end of town, this is where the royal residence is to be found, along with many of the luxury hotels and boutique resorts. This up-and-coming area on the east bank of the Siem Reap River features socially responsible guesthouses as well as some hip boutique hotels. There is a great guesthouse ghetto in a backstreet running parallel to the northern end of Wat Bo Rd, which is a good option for browsers without a booking. 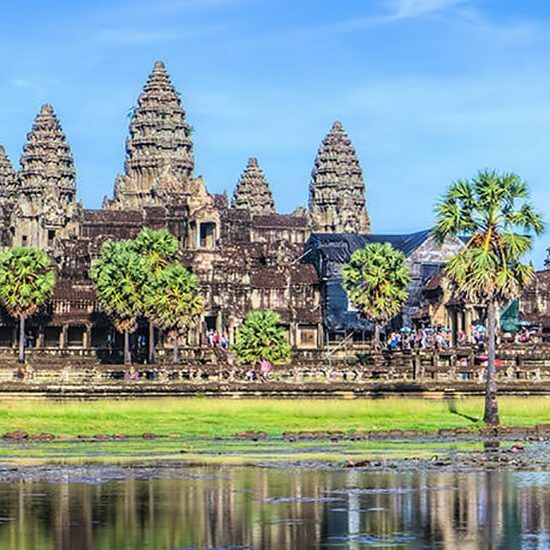 Don’t shy away from staying out of town, as some of the most memorable boutique hotels lie hidden beyond and are usually only a short remork-moto (tuk tuk) ride from the centre. 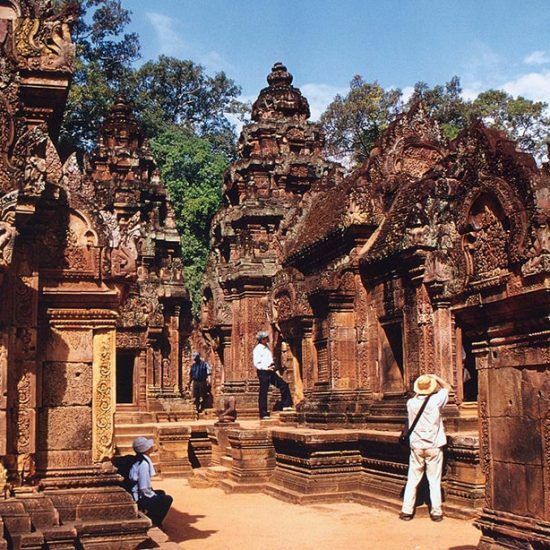 Homestays are starting to take off around more distant temples like Banteay Srei, Bakong and Beng Mealea. 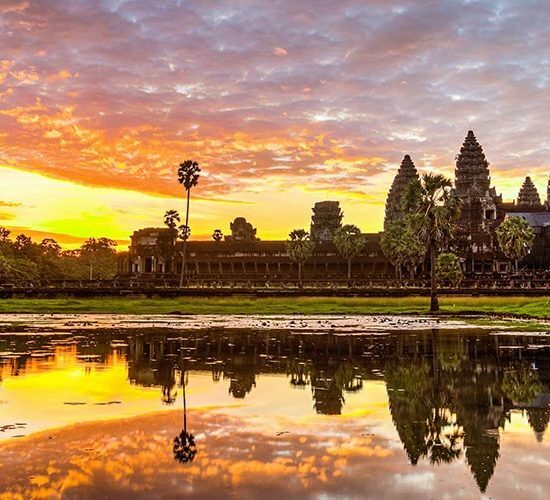 Siem Reap’s dining scene is something to savour, offering a superb selection of street food, Asian eateries and sophisticated international restaurants. The range encompasses something from every continent, with new temptations regularly opening up. Sample the subtleties of Khmer cuisine in town, or indulge in home comforts prior to – or after – hitting the remote provinces. Some of the very best restaurants also put something back into community projects or offer vocational training. Blue Pumpkin Homemade ice cream in original tropical flavours from ginger to passionfruit. The Glasshouse Velvety ice creams including white chocolate and tangy sorbets. Swenson’s Ice Cream One of America’s favourites has become one of Siem Reap’s favourites. Located in the Angkor Trade Centre. Tourist numbers mean many top restaurants are heaving during the high season. But with so many places to choose from, keep walking and you’ll find somewhere more tranquil. Quite a lot of restaurants work with tour groups to some degree. 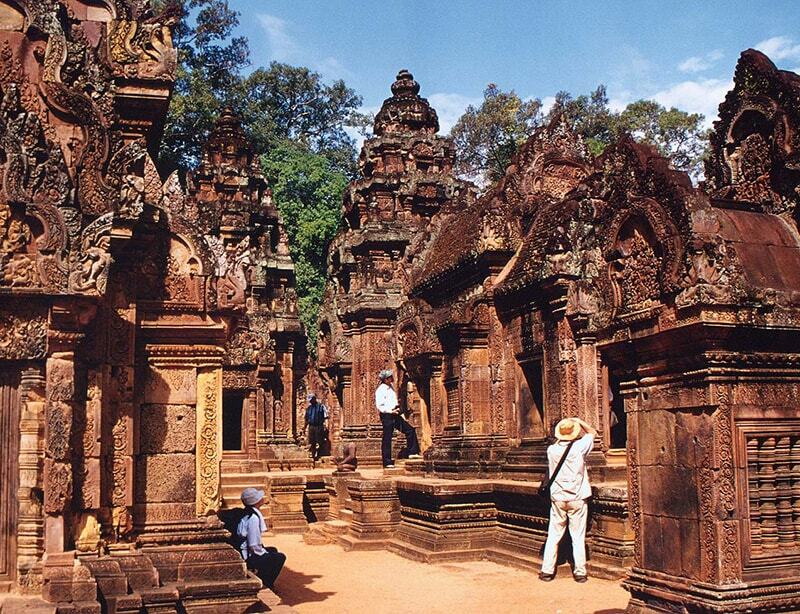 If you prefer to avoid places with tour groups, stick to the Psar Chaa area and explore on foot. Some budget guesthouses have good menus offering a selection of local dishes and Western meals. Several of the midrange hotels and all of the top-end places have restaurants, some of them excellent. Several hotels and restaurants around town feature dinner and a performance of classical dance. Pub St may not seem to be the most relaxing dining area, particularly at night, but the criss-crossing alleys are wall-to-wall with good restaurants. Take a stroll and see what takes your fancy. Psar Chaa and other markets are well stocked with fruit and fresh bread. Eating locally usually works out cheaper than self-catering, but some folks like to make up a picnic for longer days on the road.